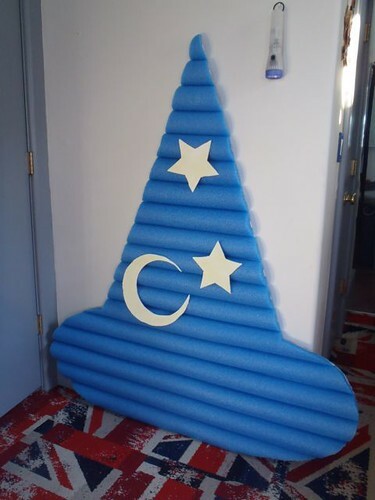 When I saw the Use-Your-Noodle Headboard project in the February 2012 Family Fun magazine, I instantly thought it would be awesome to make a pool noodle Sorcerer Hat wall hanging for my room. First, I had to wait for pool noodles to be in stores in April and it then took a couple weeks to find the right color ones and enough of them. By May, I had everything to make the project, but the stuff just ended up being stacked in my room for months because I was not sure I could cut through them straight enough. 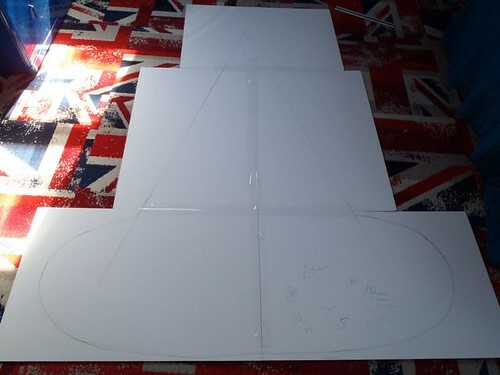 Thus, from May until a couple weeks ago all I had done was traced the Sorcerer Hat design on poster board. 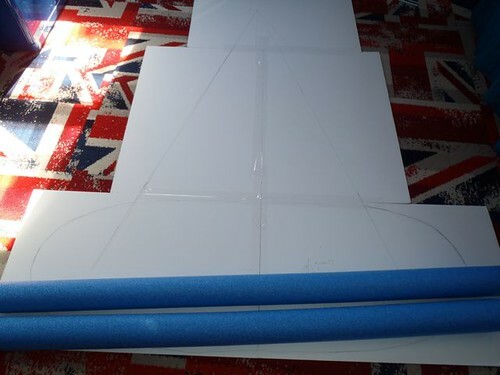 A couple weeks ago, I finally decided to just try to cut the pool noodles in half and the shape out of the poster board on my own. I did not exactly get the noodles in half using a steak knife, but it ended up being close enough they look fine. I was all ready to finish the project then or so I thought, but it turned out the glue sticks I got did not fit in the glue gun I had purchased. Thus, I had to wait another week to get the right size ones. 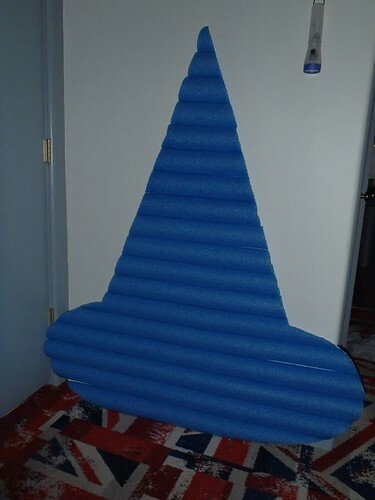 I finally got the pool noodles glued to the poster board or at least partially on Monday. 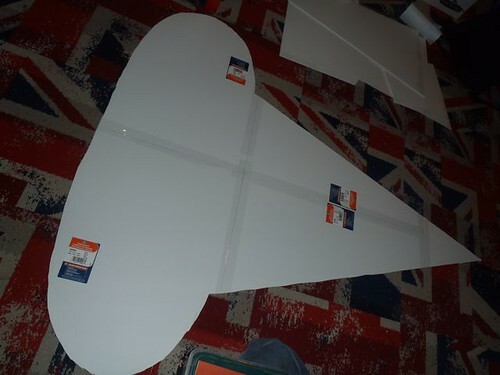 Monday I also cut out the stars and moon and spray painted them with glow-in-the-dark paint. Yesterday, I then had to go back to some of the longer noodles and reglue them on half at a time because they did not stick with the glue drying too fast to get them on. I then added the stars and moon, so it is finally complete other than hanging it up, which I cannot decide if I want to do or not with a move possible in our near future.